Very interesting blog post; thank you; there is so much available to get energy out there and no need to dig or drill for it. A bit like free candy for all if you only take a trip down or outside to the store! All it takes is 5-6 C warming to melt that ice. Long term, we achieve that at 550 to 600 ppm CO2 or equivalent forcing. That’s why we need to halt fossil fuel burning, fully replace with renewables, and then go net carbon negative through various forms of atmospheric capture. Robert, just out of interest is the statement you are making about 5 to 6 degrees warming proven fact or “merely” a statement with a high level of confidence? According to our understanding of past climates, that’s the range at which all the ice melts. The proxy data isn’t perfectly accurate. But the range is rather well established. I’d give it very high confidence at 90 percent+. That was the essence of the argument I was putting across on the previous thread about established science being not proven, but “merely” the best approximation to the truth that we have. Sorry if it came across to you as “nonsense”. That’s a more refined statement, Bill. Especially compared to one that says — science isn’t about facts. I’m sorry if I was too hard on you. That said, we can and should be able to have a discussion about probability and prediction without making blanket statements about the ability of science to produce facts, right? It may seem that I’m engaging in recondite speculations about the nature of scientific theory and fact. Actually, it has a very practcal impact on my job as a science teacher. Although it doesn’t happen much, I am occasionally challenged about the science that I’m teaching, either the theory of evolution or the theory of anthropogenic climate change. The students’ argument is the same in both cases : “you can’t prove it”. They are correct: I can’t prove either, but merely present evidence. Faced with this demand lmy best defence is to find another theory that they think is proved, and demostrate that it isn’t.force = mass x acceleration (Newton 2) is a great one, since they invariably accept it as “proven”. I then show them that it is, in some circumstances very far from the truth, an one has to come up with a very strange definition of mass to save the day for Sir Isaac. I think there’s a difference between saying — there are no facts and facts can always be further refined even as science develops a factual understanding of reality. And, perhaps, we should be more clear to students about what we can and cannot prove and to what degree things can or cannot be proven. Observational science proves all sorts of things. For example, a black hole exists or it doesn’t. Or there is such a thing as a supernova or a nebula or there isn’t. I also think that you may have confused theories with facts. In any case, if this is the way we are teaching kids science, then I can certainly understand why climate change deniers have had such a broad field in which to spread their misinformation. And, yes, some things can certainly be proven even if our understanding of them can, in many cases, be better refined. Does CO2 trap heat? If so, is that a fact? And following on that, are you saying that it’s not really proven and that it can be reasonably challenged, just like everything else can be challenged (per your other statements)? And yes — saying nothing can be proven is a blanket statement. And yes, it is incorrect. If you’re telling this to students in a blanket context, then you are misinforming them. Let’s diagram the logic, or lack thereof, of this story you’ve just told me. 2. Your students supposedly say you can’t prove the theory of anthropogenic climate change (this is an interesting opener to a faerie tale, perhaps). 3. You say they are correct and then go about saying that you can’t prove any scientific theory (Statement missing from narrative, but implied. This is classic manipulation of the narrative through allegory. I find it pretty dishonest. Will leave it at that for now.). 4. You demonstrate a theory that is known to have holes but that is still useful to prove your so-called lack-point — being the implication that ‘the students were right, why do I teach this stuff anyway?’ (sleight of hand). 5. You conflate an unproven or unprovable theory with a fact and then say that nothing can be proven thus sowing more confusion (complete flight of logic and reason). Again these words — no question. A phrase used for something that is definitely true. Definition of the word fact: a thing that has an actual existence. In other words, proven. So to sum up, according to NASA and the IPCC, human-caused global warming is unequivocal, proven, and a fact. You couldn’t just simply tell them that because it was true, right? Instead, you distracted them (or should I say, us?) with Newton. I call BS on so, so many levels. Your communication is one consistent with classic merchant of doubting. You’re attempting to create doubt in this forum by blurring scientific definitions and by manipulation of relativistic rhetorical drift and allegory. You’re under moderation. Any other professional language manipulators want to try to blur definitions and cast false doubt on the existence of climate change today? It’s only 10:55am and already my day is made. Thanks Robert! Google defines "p-value" as: In the majority of analyses, an alpha of 0.05 is used as the cutoff for significance. If the p-value is less than 0.05, we reject the null hypothesis that there's no difference between the means and conclude that a significant difference does exist. In other words this is the "generally accepted" level of whether an event is significant or merely random…at least according to my understanding. The proof of the Pythagorean Theorem has a p-value of "0" because there is a mathematical proof that is always 100% true. There is a 0% chance that the Pythagorean Theorem is false. say there are 75 independent(different data, unconnected different data collection, different unconnected people involved in the study, etc.) studies that conclude with a p-value of .05 that the Theory of Evolution is true. That means that each of these studies conclude that there is a < 5% chance that the Theory of Evolution is false. So, taken together this shows with a probability of ((.05)^75= 2.64697796 X10 to the negative 98th power) that the Theory of Evolution is false or a probability of 1 minus 2.64697796 X10 to the negative 98th power that the Theory of Evolution is true. According to my understanding there are fewer than 10 to the 90th power atoms in the known universe. So according to the example of 75 studies of the Theory of Evolution it is about 10^8 times likely to be true than if I picked one atom in the known universe and you similarly picked another atom that they would both be the same atom. Wow, I stand accused of all manner of unpleasant things, dishonesty being one of them, which I find very hurtful; I am following a line of reasoning as honestly as I can, though, crap science teacher that I am, maybe I’ve made a mess of it. Can’t you at least show a little kindness by using the principle of “never ascribing to malice what can adequately be explained by incompetence”, and merely calling me an idiot? I am also saddened that a post of mine attacking so-called skeptics for their use of the “unproven” argument to attack mainstream climate science is now being used as evidence that I am myself one of these “merchants of doubt”. Since this post may well not get on to the comments board, or receive any sort of reply, I’ll be brief(-ish). The IPCC and many learned scientific societies around the world have refrained from claiming that the proposition that humanity is responsible for the great majority of observed warming has been proved. Instead they say it is likely to within at least 95%. Thus what I have said is entirely consistent with the statements from these organisations. You yourself have not actually attempted a proof. You have stated the fact that the Earth is warming is incontrovertible, with which I agree, but this is not the same as proving the aforementioned proposition, so I’m not clear what point you are trying to make here. You do apparently agree that Newton’s 2nd Law, at the heart of our understanding of the universe, is unproven, indeed you say there are “holes” in it. The problem is that the models that Climate Scientists use assume the truth of Newton’s Laws, so this would seem to imply that these models also have holes in them. I do not agree with this: I regard the models as highly robust, even if they can only ever be approximations to reality. Bill, careless use of language can lead to all sorts of misconceptions. I’m trying to help you understand that your communication in this regard has been very unclear, has appeared to mix up definitions, and casts doubt where no doubt should otherwise be attributed. Your illustration fails to convey clear definitions. Maybe this is not idiotic. Maybe this is just a problem with communication in general. Maybe you are, indeed concern trolling me and I shouldn’t be spending any more time on this. I’m going to give you the opportunity to make clear what you are saying. But if you circle back around to ‘there’s no such thing as a fact, nothing is proven, and reality doesn’t exist’ the discussion has become too rarefied and full of holes to be of much use to a forum that is designed to discuss proofs related to climate change. I would think that any reasonable person would understand that. 1. IPCC says evidence for climate change is unequivocal. Is this or is it not a proof or a proven fact? 2. NASA notes that there is no question that the rising levels of heat trapping gases in the atmosphere have caused the Earth to warm. Explain to me how this is not a proven fact or, better, yet, how you agree with this statement and how you can return to your students and provide proofs of anthropogenic climate change. As for predictive or likelihood variables, that’s a bit different from observational proofs. Would you say that ice has a 95 percent chance of melting at 2 C but we’re not certain? If so, then, wow. And, yes, I think comparing climate change to Newton is a bit of a false from. One is an apple (apparently for Newton at least). And one is an orange — or at least an orange shift on the climate graph. Robert, unfortunately, you are making untrue claims about what i have said. Where, for instance, have I said that there is no such thing as a fact? Maybe I do need to add context re arguments with students re AGW. Their beef is not with the idea that greenhouse gases trap heat but with claim that this results in a serious problem for humanity. They demand proof, which, as I have pointed out, the IPPC and the learned societies in good Popperian fashion decline to give, giving instead statements in terms of probabilities. The students’ argument is a dumb one ,but I’m not prepared to merely assert:” I’m the teacher and I say it’s proven” when the Learned Societies demur on this point. Instead I draw attention to their inconsistency in demanding proof for this theory when they don’t do so for just about every other theory. Confronting students with cognitive dissonance can be a powerful weapon. I’m going to remove moderation on this for now and chalk it up to misunderstanding. However, IMHO, the reality that human caused climate change is a proven to be true condition is a true statement that any reasonable person would accept without question. Simply put, there is no reasonable doubt that human caused climate change is not true. If I didn’t muddle through this too badly, I hope this explains the misunderstanding. Cheers, Vaughn, thanks for this. Not muddled at all. Thanks, Robert. Hopefully enough said. And thank you for your moderation in this regard. Vaughn, I’ve posted a response to your probability argument. For some reason it’s ended up at the bottom of the comments section. I’d be interested in your thoughts. Hi, Vaughn, I’ve posted a response to your comment on being able to declare theories to be true on the basis of a vanishingly small probability that they are not. Unfortunately it’s ended up at the bottom of the comments section. I’d appreciate your thoughts as a fellow science teacher! Robert, I’d be very happy to bury the hatchet too. I can assure you that as far as I’m concerned the mainstream science view on the the magnitude of AGW and its effect on the planet is the only show in town, and we should act accordingly. Those who persist in saying otherwise are being totally unreasonable. Bill, my apology for mis-hearing you. I get a lot of targeted messaging that masquerades as scientific language. This can knock me into hyperfocus and a confrontational mindset. What’s worse is that I only have a block of text and url tracking as my means of proofing. Moderation of this kind is a two edged sword in a number of respects. My main challenge is to engage meaningfully but not to allow the flood of misinformation to color my impression of honest communicators. Thanks for your understanding and I will endeavor to be more moderate, to not allow passions to rule, in the future. That said, and just as a word of advice, maybe it would be helpful to step a bit outside the context of mathematical probability and identification of certainty and uncertainty. To think about how those who live outside that realm view facts and proofs. To think a bit more observationally at times and to maybe discuss a bit how observation, evidence analysis, and mathematical modeling are the three pillars we presently use to determine proof. That there are different lenses for each field. I guess I’ll leave it at that as a suggestion. Robert, thanks so much for all the effort you put into moderation. I find I have to severely limit how often I try enaging with the denizens of blogs such as Watts or Çlimate Audit. Such is the level of bile in those snakepits I find myself doubting the existence of human goodness after a while. I’m in awe of you for battling with that sort of thing on a daily basis. If you’ll forgive the pun: no need to worry about any lack of…..moderation on your own part! Many believe that civilization cannot survive and in fact perhaps not even humans above 4 C. Thanks for all you do Robert and I also enjoy the occasional very positive article like the one you just posted. Humankind can survive 4 C. Civilization collapse pressure is quite high at that range. Adaptation measures would have to be quite intense for most societies to remain stable in that range. Extreme damage from high impact events would require major alterations to present economic systems. Food and water security likely to be severely impacted in multiple regions at the same time. Haven’t got the link at the moment, however in the last couple of weeks I read an article where AXA the international Insurance/reinsurance giant states that a 4C world is uninsureable. In other words, on top of the extreme weather damage let alone the postulated increased geological activity, there will be no insurance back up to aid recovery. Just individual resources and whatever minimal tax resources governments may have. Things starting to fall apart does not = human extinction. Things are getting rough now. In order to understand the ratcheting influences of climate change, we need to set our minds to better understand a wide range of degrees. A 4 C world is very difficult to deal with financially. Which is why I made the ‘present monetary systems’ statement above. Do I think 4 C is a terrible world that we should strive to avoid with all we’ve got? Absolutely. We don’t have to even come close to human extinction for that to be the case. Think about how bad World War II was. Humans didn’t go extinct then. It wasn’t even close. 4 C warming would be much worse. But still not an extinction level event. One fact — we want to avoid it because its terrible — does not belie the other — 4 C does not = human extinction event. Plaza, with the caveat that we still need to dig and drill for the very sizeable tools we need to harness this energy, as well as the other tools, based on substances like lithium, for then storing it once it is captured, though the digging and drilling should be done in an increasingly sustainable way over time. A global energy transfer system is the ultimate answer, I don’t know how to construct it but if it could be in place then countries with unlimited soar power in desert regions could generate power 24 hours a day globally in sequence every day of the year and the power could be distributed. The amount of sun power wasted on my Spanish roof daily is a tragedy! I wish I could simply give it away to to poor soul in the far northern hemisphere. The eventual goal of power generation will have to be solar, with global distribution. This is what needs working on. Its OK having lots of windmills and solar panels in temperate climes but on a calm day, with a cloudy sky, things get a bit demanding on the power front. We need a “Global Power Grid!” Not for me, I have more than enough solar and wind power if I need it but for all those who are under the clouds and in the doldrums. The alternatives don’t really bear thinking about a few years from now. There is a great desert photo of these collectors with Monument Valley-style buttes in the background, but I can’t bring the image into this message. Things are already falling apart. Insurance is difficult or impossible to get in areas of forests in some parts of the USA, added to this the same problem is also evident in areas near to sea level. Insurance, if available will seek to find ways to not pay out due to circumstances beyond their control, like the claimant was living too close to sea level, or a forest! Panic will become the norm, as city after city becomes engulfed in sea water or wind driven flames, droughts, or simply washed away. Meanwhile the hinterland, undeveloped may offer some refuge to those who are willing to compromise their lifestyles. You can not hope to have up to 10,000 million people living beyond their energy means! Something has to give? With massive energy use conservations and a radical change in energy generation, then there will be at least less of a climatic shock but can Humanity cope with the changes and settle for less then their forebears had and used? I personally hope I will be around to be part of this future, its a bit of a gamble both with passing years and the odds being stacked but the next 30+ years are going to be very interesting, possibly more so than the last few thousand? I think we can still bend the temperature curve back at around the 2 C mark if we enact the right policies and if we all work together. 4 C is definitely something we want to avoid. As I said before — high collapse pressure. Conversely, private insurance actuaries–who don’t deny climate change–will just price up premiums to meet sensibly plausible risks, and people will not be able to afford the insurance in the first place. Installations of rooftop solar in Australia are hitting all-time highs. 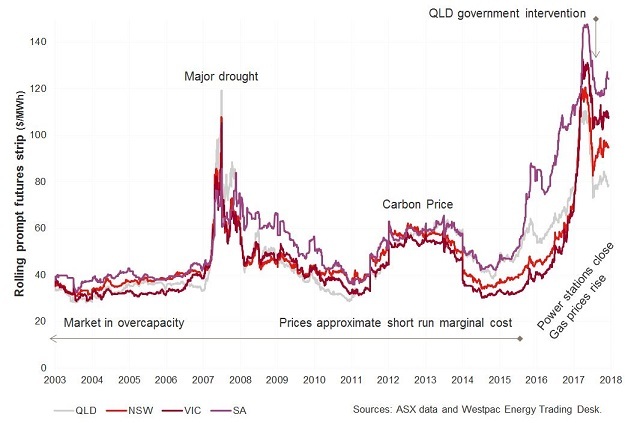 Rather than being driven by government subsidised feed-in tariffs as it was earlier in the decade, it’s now being driven by sky-rocketing electricity prices caused largely by the inept bungling and delay tactics of the Abbott and Turnbull governments. An Islanding inverter can keep your PV going during a blackout. They’re typically used for off-grid systems but can be grid-tied too. I’m not sure how they’d go with a Tesla Powerwall 2 though, which now have their own built-in inverter. Glen, I have looked into putting up an array of solar panels but not there yet. I am looking at 2018 especially if everything goes as planned. I am in Washington state, USA. I know I need an inverter too and I think a synchronizer as well. Good luck on your project! Thank you Robert. A significant part of the pullback this year in the U.S. residential market may be due to the purchase of the largest player, Solacity, by Tesla and it’s big pivot away from the leasing sales and outside vendor supplier model, coupled with the delay in getting Tesla’s solar factory up and running. Great article on the growth of renewables it is a roller coaster that is poised to roar, after so many years of talking and trying to convince policymakers. Here in New Zealand there was a “warm blob” in the late 1990s which excited local scientists as reported in 2004. The blob, from north of New Zealand northwest to the Solomon Islands, raised the average sea level about 5cm above normal. It raised the average temperature in the top 800m below the surface of the Tasman Sea by 1.2C – producing extra heat equivalent to between 5000 and 10,000 times New Zealand’s daily use of electricity. Now in 2017 we have a warm blob in the Tasman with record temperatures somewhere around +6°C above “normal”. What a difference a decade makes. A La Nina pattern and higher than normal atmospheric pressure are warming sea surface temperatures by more than 6 degrees Celsius in some areas, compared to the average for this time of year, bringing warm weather to New Zealand. La Nina, a major systematic global climate fluctuation, influences sea temperatures in our part of the world, but Niwa forecaster Ben Noll said there are other factors driving the temperature higher. Miami in 2037! Very sobering scenarios of a big hurricane hitting the area. WOW! Posted this same Guardian piece down below; didn’t see your post here. 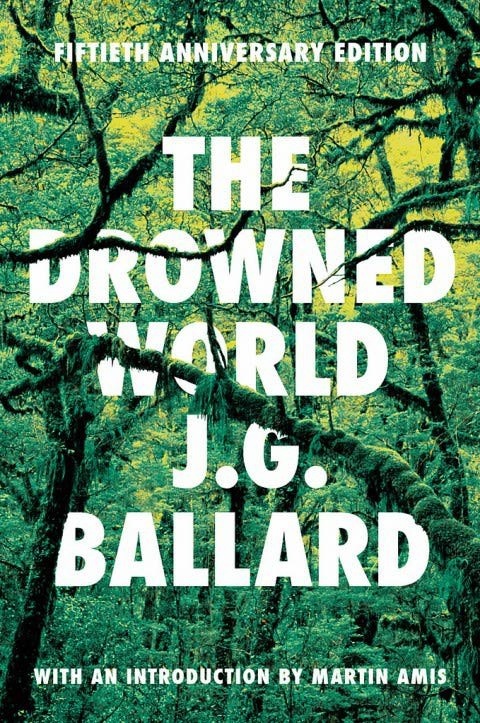 Reminded me of images in Ballard’s ‘Drowned World’. Maybe a good time to read ^that^ one again. Way OT but interesting just the same,(at least for me). You want to save a few fish stop using nets for starters. Hook and line is less harmful and better at targeting single species and size. I watched the horror of the northern cod collapse as the “experts” said there wasn’t a problem with the stocks. Of course the “uneducated” fishers were 100% wrong in saying for at least a decade before the disaster, that collapse was happening. What I’ve taken away from six decades of listening to the “experts” is that they are fatally optimistic. Whatever they say is the outside worst seems to turn out to be the best that comes to be. Sorry just how it seems to have worked out with the few things that I’ve paid attention to over the years. As long as there are nets in the oceans there is no chance at replenishing the worlds oceans. Never mind all the other crap we’re dumping in them. Oceans cover 71% of Earth’s surface and support an estimated 3 billion people with food and vital micronutrients (1). Consequently, the fate of the ocean and its living resources is a first-order question in ecology and environmental science (2). In this context, a 2006 panel of ecologists and fisheries scientists empirically charted the consequences of an ongoing depletion of marine biodiversity, such as declining fisheries, reduced water quality, loss of habitat, and less resilient ecosystems (3). The paper became widely known, however, for a scenario of global fisheries collapse derived from extrapolating catch trends to the year 2048. This projection served as a flash point in the ongoing discussion about the sustainability of global fisheries, or lack thereof (4). A polarized debate ensued, which was productively addressed by a subsequent panel that highlighted solutions for rebuilding depleted fisheries, where appropriate governance structures exist (5). That work, however, along with several follow-up papers (6⇓–8), did not revisit the original projections. A new paper in PNAS (9) now uses updated methodology and an innovative combination of available data on catch trends, life history, and stock assessments to revisit the prospect of a global fisheries disaster, and what may be required to avert it. These are the fish discussed in the video above, the Gulf corvina. The males ‘sing’ whilie spawning; sounds like machine guns. Thye’re known as the loudest fish; recorded at 202 decibels. Austin Energy Signs Historic-Low Solar PPA Amid 201 Trade Case Uncertainty. Bodes well for US solar. “It’s a pretty bold statement to announce this at this particular time.” Colin Smith, a GTM analyst estimates the cost hovers between $23.50 and $27.25 per megawatt-hour. It could even be as low as $21 per megawatt-hour. “It’s low enough that it’s kind of shocking,” said Smith. How do we live with the fact that we are destroying our world? How do we live with the fact that we are destroying our world? Because of social taboos, despair at the state of our world and fear for our future are rarely acknowledged or expressed directly. The suppression of despair, like that of any deep recurring response, contributes to the numbing of the psyche. Expressions of anguish or outrage are muted, deadened as if a nerve had been cut. This refusal to feel impoverishes our emotional and sensory life. We create diversions for ourselves as individuals and as nations in the fights we pick, the aims we pursue, and the stuff we buy. Our intention and our resolve can save us from getting lost in grief. This is the gift of the Great Turning. When we open our eyes to what is happening, even when it breaks our hearts, we discover our true dimensions, for our heart, when it breaks open, can hold the whole universe. We discover how speaking the truth of our anguish for the world brings down the walls between us, drawing us into deep solidarity. And that solidarity with our neighbors and all that lives is all the more real for the uncertainty we face. When we stop distracting ourselves, trying to figure the chances of ultimate success or failure, our minds and hearts are liberated into the present moment. And this moment together is alive and charged with possibilities. Tesla’s big battery in South Australia is not even 3 weeks old, and it’s already saving the day in Australia power markets when a coal generating station 1000 km away tripped unexpectedly. Tesla’s battery responded within mili-seconds to support a sudden frequency drop, even before the contracted frequency stabilization plant (also coal) could come on line. Battery storage like this is going to hype-charge renewables growth. MW in ms indeed, something coal can’t do. More pertinent is the percentage growth. This will give us the doubling time…for example, 19% growth implies a four year doubling time. Some scientists are eager to pursue these studies because they may show, for example, how a bird flu could mutate to more easily infect humans, or could yield clues to making a better vaccine. So we add the above to what is below and ……………….well……. anyone?!!!! Here’s another oil venture about to get under way. Kudos to NASA for all that they do. The Gravity Assist Podcast is hosted by NASA’s Director of Planetary Science, Jim Green, who each week talks to some of the greatest planetary scientists on the planet, giving a guided tour through the Solar System and beyond in the process. This week, he spoke to Tom Wagner of NASA’s Earth Science Division, to discuss NASA’s work studying our planet. In this first part of their discussion, the pair talk about Arctic sea ice, disaster response and how what we learn about Earth can be applied to other planets and vice versa. Here’s a condensed version of the podcast. “….Tom Wagner: One of the biggest places and actually some of the first satellite data that was collected about the Earth was of the Arctic sea ice where they used rockets to take pictures of it back in the 1960s. What we’ve seen is that, over the past 30, 40 years, we’ve lost something like 80 percent of the ice that used to be there by volume, and it’s an amazing change. It’s like turning one of the big knobs that controls the Earth as a machine. Jim Green: That water’s got to go somewhere. What are some of the missions that look at that, and what are they telling us about where that water goes? Tom Wagner: There’s a bunch of different things that we do. One of them is that we use satellite radars to look at how fast the ice on the land, like in Greenland and the Alaskan glaciers, is flowing into the ocean. We use satellites like GRACE (Gravity Recovery And Climate Experiment), which measure variations in mass at the Earth’s surface. Then we have satellites like ICESat (Ice, Cloud and land Elevation Satellite) and ICESat-2, which we’re going to launch in 2018, which look at the height of the ice and how it’s changing. Tom Wagner: One of the important things NASA does is to try and develop the next generation of tools for better forecasting of those events, so we can do a better job figuring out what the impacts are. And the kinds of work take all different kinds of approaches. With hurricanes, we’ll look at those with satellites. We’ll also fly over them with aircraft that map the structure of the hurricane so that we can figure out its power and the direction we’re going. We work closely with the NOAA (National Oceanic and Atmospheric Administration) on that. When there’s something like a terrible oil spill in the ocean, we have special radars that we’ll put out on planes to go out and map the extent of the spill, because that’s really hard to do. When it comes to things like earthquakes, we use satellites to map the motions of the [tectonic] plates so that we can get a better understanding of how the Earth moves and where earthquakes might happen next. We even have a program that specifically looks at natural disasters and how we can best support the other agencies that are delivering the aid…. Jim Green: What have you learned as an Earth scientist that would surprise most people? “….By the late 2020s, the only beaches that remained were privately maintained oases of sand in front of expensive hotels. The hurricane took care of those, leaving the hotels and condo towers perched on limestone crags. Tourists disappeared. After the hurricane, the city became a mecca for slumlords, spiritual healers, and lawyers. In the parts of the county that were still inhabitable, only the wealthiest could afford to insure their homes. Mortgages were nearly impossible to get, mostly because banks didn’t believe the homes would be there in thirty years. Still, the waters kept rising, nearly a foot each decade. Each big storm devoured more of the coastline, pushing the water deeper and deeper into the city. The skyscrapers that had gone up during the boom years were gradually abandoned and used as staging grounds for drug runners and exotic-animal traffickers. Crocodiles nested in the ruins of the Frost Museum of Science. Still, the waters kept rising. By the end of the twenty-first century, Miami became something else entirely: a popular diving spot where people could swim among sharks and barnacled SUVs and explore the wreckage of a great American city….. Follow-up on the bit I posted here a couple of weeks or so ago about the emaciated polar bear, suggesting climate change is not really a factor in its condition. “…“The video shows what appears to be an old male in declining health, but clear clinical signs of starvation aren’t obvious (e.g. convulsions),” said longtime polar bear biologist Andrew Derocher in an email. In a series of tweets, Arctic wildlife biologist Jeff Higdon similarly speculated that the animal could be suffering from an aggressive form of bone cancer. “That bear is starving, but (in my opinion) it’s not starving because the ice suddenly disappeared and it could no longer hunt seals,” he wrote, noting that bears routinely survive long stretches of ice-free water during the summer. “It’s far more likely that it is starving due to health issues,” he added. However, noted University of Alberta polar bear researcher Ian Stirling disputed that it was an older bear, pointing out the lack of scarring around the animal’s neck. In an email, Stirling added that it’s impossible to know for sure what caused the bear’s emaciation, but it “is what a starving bear would look like, regardless of the cause…. “In early October, 22 state and federal judges hailing from Honolulu to Albany got a crash course in scientific literacy and economics. The three-day symposium was billed as a way to help the judges better scrutinize evidence used to defend government regulations. But the all-expenses-paid event hosted by George Mason University’s Law & Economics Center in Arlington, Virginia, served another purpose: it was the first of several seminars designed to promote “skepticism” of scientific evidence among likely candidates for the 140-plus federal judgeships Donald Trump will fill over the next four years. “…an analysis published in Nature Geoscience last month that human consumption — not seasonal fluctuations or climate change — is primarily to blame for the Great Salt Lake’s desiccation. They hope that creating a better understanding of water flowing into and out of the lake may serve as a model for managing salt lakes that face similar threats. The near collapse of salt lakes in places like Central Asia’s Aral Sea, Iran’s Lake Urmia and California’s Salton Sea deprived local environments of natural filtration systems, wildlife habitats and opportunities for human use. Left behind were dust storms that threaten human health and agricultural fields. In the case of the Great Salt Lake, the researchers warn that another 30 square miles of lake bed could be exposed in the next 30 to 50 years if planned development and overuse continue…..
“It isn’t the water use 100 years ago that had an effect,” he added. “It’s really the last 15 to 20 years that are relevant to how the lake is now.”…. “….“It’s easy to do something on the tundra but it’s very difficult to restore,” said Francis Mauer, a retired biologist for the United States Fish and Wildlife Service who worked in the refuge for decades, including the years when the well was in place. “In his 24 years as a firefighter in Ventura County, Antonio Negrete has never seen a wildfire grow as quickly and with such intensity as the Thomas fire. He said he’s also never seen so many resources or personnel dedicated to fighting such a massive blaze. ….the conditions are setting the stage for a long fight, with officials saying they don’t expect containment until January. The wildfire had grown to 270,000 acres and spurred 104,607 people to flee their homes, authorities said. More than 8,500 firefighters have battled the blaze, one of the largest mobilization of crews to fight any wildfire in California history. The firefight has cost $130 million. It’s now the third-largest fire in California history. In his 28-year career as a firefighter, Capt. Rick Crawford with the Los Angeles Fire Department said he’s battled extreme fires. But that the Thomas fire stands out as one of the — if not the — fiercest wildfire he’s encountered. …One surprising aspect that he said separates the Thomas Fire from others is how the red flag conditions have lasted for two weeks. Jacques in southern Utah: you are a very important person in my life for what you just wrtote today. thank you from the bottom of my heart. this is of great help. “….One alarmist article in Newsweek said that bitcoin computer operations could consume “all of the world’s energy by 2020.” The website Digiconomist claims that bitcoin operations use as much energy as Denmark, or enough to power 3,071,823 U.S. households. …several experts told The Washington Post that bitcoin probably uses as much as 1 to 4 gigawatts, or billion watts, of electricity, roughly the output of one to three nuclear reactors. …a network of users who expend large amounts of computing power, and thus energy, building a so-called “blockchain” of bitcoin payments transactions. To compile this comprehensive record, the bitcoin network relies on “miners.” Bitcoin miners have to perform a phenomenally large number of computer calculations to track and verify transactions and solve complex puzzles to obtain bitcoin rewards. As bitcoins become more popular and valuable, the puzzles miners face grow more difficult, and therefore the demand for high-powered computer processing grows as well. That means more energy usage….. Your vote can matter tremendously. Today Virginia swung to 50-50 in the House of Representatives. This after the previous 66-34 Republican majority for almost two decades , before the most recent election in November, and it’s come down to One single vote in Newport News. Story’s been updated. It’s now a tie again. Coin toss to decide. Very 21st century. ?Dec. 20, 2:40 p.m.: A closely watched race for a Virginia House of Delegates seat has come down to a tie, after a three-judge panel decided Wednesday to count a previously uncounted ballot for the Republican delegate. A recount on Tuesday had the Democratic candidate leading by one vote. According to Virginia law, the winner will now be determined “by drawing lots” ― a process such as drawing straws, flipping a coin or picking names from a hat. Vaughn, the trouble with your argument that a sufficient number of successful independent tests of a theory renders the probability of its not being proven as vanishingly small can be seen if it is applied to Newton’s Second Law (sorry to keep citing this, but it is a very handy exemplar). This has been verified to high accuracy on many occasions by many independent observers, indeed we rely on it for our safety whenever we travel in a vehicle. However, we now also know that it fails for objects at sufficiently high velocity. One could say that Science is the ultimate in asymmetric warfare! Bill, I read the NSTA news publication you linked to. I agree with their position for the most part with the understanding that there are a number of mathematical proofs where p = 00.000…. These are “proven to be true theorems.” I referenced the Pythagorean as an example of one of them. Your example of Newton's Law is an interesting example. New information about Newton's law has cast considerable doubt on the truth of the law although we generally accept it as true as it seems to be true and things happen from our point of reference as we assume they should except they actually don't. The problem is we can't measure the "don't" part except at "relativistic" velocities. There is no measuring device that can tell the difference between 1/10^(100) second and 1/(10^(100)-1) second). Please read "The Dancing Wu Li Masters" by Gary Zukav. He explains this quite enlighteningly in his book. He also explains how the act of observing an event can change the event. This is a fascinating book. I think it is important to focus on the very highly likely hypothesis that climate change is real, is human caused, and the consequences will be devastating rather than the "vanishingly small probability" that human caused climate change is not real. This, I believe, is also true about other theories several of which Jacqueline referred to. Yes, these theories are not proven to be true but for practical purposes we need to accept them as true unless, of course, as Jacqueline, says, "new information comes along." Now, please read "The Dancing Wu Li Masters."